Reading progress update: I've read 48 out of 183 pages. 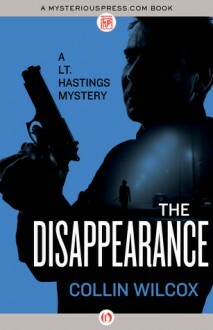 I’ll have to work extra hard to keep details straight in my head this time around, because Lt. Hastings is working two major cases at the same time: a murder, and a Missing Persons case. the murder has some weird angles, whereas the disappearance of Carol Connoly has only recently been introduced into the proceedings, so it hasn’t had a chance to get weird yet. I don’t like the husband, though. hard to believe San Francisco of 1970 is almost fifty years ago; of course the Dirty Harry movie would be a year later, with a bit of the feel of what I’m reading now, except Frank Hastings isn’t really the renegade, rule-breaking type. but yeah, San Francisco, 1970. time capsule! I love it. this book will go by fast, so I’ve got another one lined up that also won’t take long, but will take me towards an April 26 Buddy Read of a Maigret book. I’m thinking Burn, Witch, Burn!, by A. Merritt because I’ve been neglecting Horror (and Fantasy). Imagine the pain, after having driven a successful business into the ground through a refusal tell your father that you had no talent for business, of having to live simple on the small estate your wife has just inherited in Barbados. How is anyone supposed to cope with such trauma? Then there is the blandness of our investigator. He makes Watson look charismatic and insightful He's SO bland, I struggle to remember his name. I'm beginning to hope Sophia is the murderer just to avoid thinking about her being married to this bland man. Josephine remains interesting. And I too would like to understand why the dogs wouldn't eat Jezebel's palms. This book is more than a little odd. The mystery no longers seems to be "who killed the Patriarch? but how did these people manage to share a house for so long. Reading progress update: I've read 2 out of 183 pages. finally, reading one of the earliest books featuring Lt. Frank Hastings, solving crimes in San Francisco. a few years back, I decided to acquire four novels I had not read that were by a favorite author when I was younger: Collin Wilcox. the books were Spellbinder, Mankiller, Stalking Horse, and this one. having read three of them, I’m glad I had them to go to every now and then, and The Disappearance is the last one (unless I get more, but no plans to do so, at this time). Stalking Horse was the standout, so far...but now I go back earlier, the start of a series, 1970. TW: Again this book mention the crime on minors. I really enjoyed the last book, but I thought this book was even better than the last. I like the growth we get with Ted and Amanda. I like the friendship we get with these two, they are an odd pair but yet work together so great. Ted is still trying to hide to stay out the public eye as much as he can, but of course things are not in his favor n some things. In last book I liked Ted but he still gave me a bit if the creeps at times. He is doing much better in this book and maybe even working towards his peace. Like I said I liked the growth of his character and it is a big part of the story. Of course I liked Amanda, she has her issues and we learn a bit more about her but she also is a bit of comic relief at times. This book kept me captivated to the last page, it is suspenseful, had so many twist and turns. Again some things were easy to predict nut the big and fun things... not at all and had me in awe. We meet some new and interesting people, that fit in m opinion right in with Ted and Amanda. I loved the landscape and surroundings of Australia. 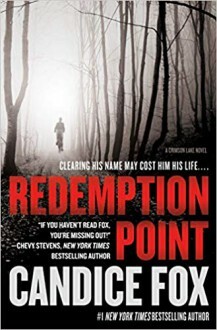 Overall I really loved this book and highly recommended it to anyone that enjoys thrillers. David Baldacci doesn't write bad books, most are pretty good, like this book Redemption. Baldacci writes his characters very well. He doesn't spend a lot of time taking paragraphs or pages to describe rooms or the outdoors. In the Amos Decker series, he doesn't talk about feelings, because Amos doesn't have feelings, so some time is spent on what he should be feeling. Decker was a college football linebacker at OSU (ROLL TIDE) and during the first American professional football game in which Amos played in, he took a blindside hit and died twice on the field that day. As a result of his injuries, his brain was rewired, giving him Synesthesia, where in his case he sees trauma or sometimes just normal-seeming people in a color. Another problem with his brain is hyperthymesia, which is never forgetting something he's seen or read. Like finding the bodies of his wife and daughter, or remembering the good times he had with them, or crime books and crime scenes, perfectly remembering every detail. Before the deaths, Amos had become a successful detective for the Burlington Police department. After the deaths, he fell apart, became homeless and became a private detective. 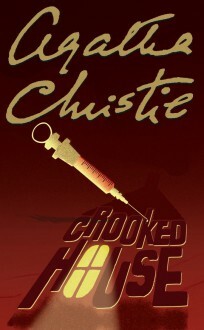 After the first book, he starts working as a consultant for the FBI with his only friend Alex Jamison. In Redemption Amos Decker returns to Burlington with Jamison in tow to visit his daughters' grave on her birthday. As he leaves a person walks out from the shadows, a person Amos would never have guessed to show up at the cemetery. It is the first person he ever put away for murder, a mass murder, Meryl Hawkins. Hawkins was a man that had received a life sentence with no possible chance for parole. The facts were stacked so far against this man that it was easy to put this man away. Hawkins got out of prison because he had cancer with few weeks to live. A compassionate release. The man had one request. That request was to prove that he was innocent. Decker deems that he got it right the first time but the next evening. Now his FBI partner has to leave him but Alex able to enlist help from his original partner from that case Mary Lancaster. In the end, Decker solves the crime, but maybe his life is in jeopardy. But as I always say, it's an Amos Decker story so by the end of the book Amos lives. 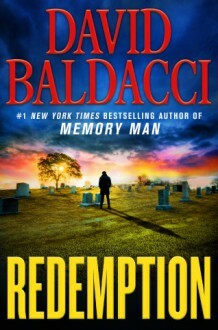 Baldacci writes Redemption and gives us a good story and he's able to make lots of plot twists and turns while he kills off a dozen people and saves some lives in the end. Baldacci is a lot of talking between characters. Sometimes he uses 'said' 5 or 6 times in a page, and he does that often. But don't ask me how not do that, I just read the facts and Baldacci writes the facts. That's the plan we have worked up between us. He writes and I buy. I give this 3 of 5 stars, it's an enjoyable book that will entertain you while you read it. It just won't be a memorable book. I won't be re-reading this before the next book comes out.